In this paper, we present a toolkit that aims at facilitating the design and implementation of serious games played in cross-reality environments. This type of systems interconnects a physical space with a virtual world. 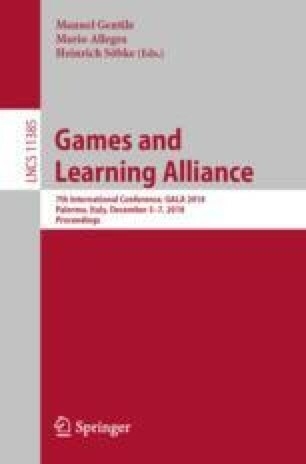 Its use as a platform for serious games will open the door to the design of collaborative learning experiences based on games played simultaneously by real and virtual players. However, due the wide range of technologies they require to integrate, their implementation could be complex and expensive. The toolkit aims at lowering the cost of building cross-reality serious games, so that the opportunities that this type of artefacts might offer in educational contexts can be more easily explored. This work is supported by the project CREAx funded by the Spanish Ministry of Science and Innovation (TIN2014-56534-R).